Today we are going to give you a complete guide to Aurora photography. Indeed, watching and photographing the Aurora would be any photographer’s dream and for people who do not live in areas where these phenomena occur, it could be a once in a lifetime opportunity to observe and photograph the aurora. Since the intensity of the aurora depends on solar activity, one needs to carefully plan and have a bit of luck to be able to photograph them while they are there. As with any genre of photography, there are certain camera settings that you need to take care of and gear that you need to use for aurora photography. We will quickly look at what the aurora is, how it is formed and some basic information on watching out for these phenomena before we dive into the technical side of aurora photography. All information provided in this article applies to both Aurora Borealis (Northern Lights) and the Aurora Australis (Southern Lights). So, What Is An Aurora? For people who live near the North or South Poles, they will often be in for a treat, witnessing beautiful light shows in the night sky. The lights near the North Pole or the Northern Lights are called Aurora Borealis and the lights near the South Pole or the Southern Lights are called Aurora Australis or in general, referred to as Polar lights. An aurora is a natural display of colored light in the sky usually seen in the higher latitude regions around the Arctic and Antarctic regions. It can be green, pink, red, purple, yellow or even white sometimes. Auroras are produced when the earth’s magnetosphere is disturbed by the solar wind. The charged particles from the sun during a solar storm/wind or coronal mass ejection come into contact with the magnetosphere of the planet (in our case, the Earth). Some of the energy and the particles travel down the earth’s magnetic field lines at the poles and interact with gases (atoms) in the atmosphere (mostly oxygen and nitrogen atoms that are found in higher percentages in air) causing ionization and excitation of atmospheric particles, resulting in a phenomenon called the Aurora. The Aurora has a high intensity at the poles because the magnetic field lines are concentrated at the poles. Hence when the solar wind hits the particles in the atmosphere near the poles, they get ionized (gain or lose an electron) and when they go back to normal state (ground state) from a higher energy state (excited state) they release photons (light particles). The color of the emitted light depends on the atom that emits light. Oxygen atoms usually emit green or red light whereas nitrogen atoms emit purple or blue lights. Auroras often appear as curtains of light but they can also form arcs and spirals, that follow the earth’s magnetic field lines. Capturing the aurora with the intricate details, rather than a blurry smudge or blob of light, is not very easy. You need to have the settings right to capture the details of the lights dancing across the sky. Moreover, different cameras and lenses are going to be giving you different results and all auroras are not the same. So it will be a bit of a trial and error till you find out what works best for your camera-lens combination and for a particular auroral show. If you understand how the exposure settings work, then you should be good to go. When it comes to Aurora photography, the location is of prime importance. You need to be in an open area where there is no light pollution and there are no obstructions facing north (if you are in the Northern Hemisphere) or facing the South (if you are in the Southern Hemisphere). Higher elevation areas can help you get lucky going over the low lying clouds to view the aurora. Auroras are usually strongest and visible in the upper magnetic latitudes between 10 to 20 degrees away from both the North and South Poles. When the solar activity is very high, the auroral intensity is high enough to be seen in lower magnetic latitudes of up to 70 degrees. Some of the places in the Northern Hemisphere where Aurora is visible are northern Canada, Alaska, Iceland, Greenland, Sweden, Norway, Finland, and Siberia. In the Southern Hemisphere, Aurora can be seen from New Zealand, southern Australia, Chile, and Antarctica. Note: Auroras are not strong at the poles but are strong at an offset from the Magnetic Pole by about 20 degrees. This link has information on Magnetic Latitudes for a few cities or you can calculate it here. This page has a map for geomagnetic latitudes for the earth. When Is The Best Season To Photograph The Aurora? Since the summer season has long days with very short nights or brighter nights, the best time to get into aurora photography is from the start of the fall season until early spring when the nights are longer. This applies to both the Northern and Southern Hemispheres and it brings you to a situation where you will be shooting the aurora in very cold and icy conditions most of the time, making this a very challenging task. In order to know when the aurora will be on display, you need to keep an eye on the Kp index also called planetary index or global geomagnetic index and it is a scale of numbers between 0 to 9 that show the scale of geomagnetic activity. Value 0 means there is very little geomagnetic activity whereas value 9 means extreme geomagnetic storm. This scale helps determine the Kp index required to see the aurora at various locations depending on where you are. Note: Kp index above 3 or 4 is a good chance to view the aurora and Kp values greater than 5 is considered a storm and chances are high for watching the aurora, provided the skies are clear and light pollution is very low. For example, if you live close to the poles or you are at a location closer to the poles, a lower Kp index of 0 is enough to watch a faint aurora and Kp index of 3 to 4 is enough for a magnificent auroral display, but as you move further away from the poles, you will need to have a higher Kp index to view the aurora. Higher Kp index requires higher solar activity. Basically strong to very strong geomagnetic storms are the best friends of aurora chasers. The image here gives a rough idea of the Kp index necessary to view the aurora for different locations in Europe, provided you are in a dark location with clear skies and free from light pollution. Here is another resource that gives information on the Kp values required for each location in order to see the aurora and here is another resource that gives information on locations where you can watch the Aurora Borealis. So if you live within those latitudes, a high Kp index means, you stand a very good chance of seeing the aurora. The advice is, do not wait for it – anytime is a good chance to view the Aurora, at least a fainter one. So if you get a chance to go out, just go – if not the Aurora, you can at least shoot the night sky. Note: Locations up to 600 miles away from the auroral oval can see the aurora near the horizon if the activity is high. There are many websites that have auroral forecast for different regions and they can predict the magnitude of the aurora with reasonable accuracy for up to an hour in advance. Some of them have SMS alert services that you can subscribe to, so you get alerted sometime before the activity, so you can be prepared. Space Weather Live – gives a short-term forecast of the auroral oval for both Northern and Southern Hemisphere. It shows the intensity and location of the auroral oval for a given time. You can also have a detailed 3-day forecast and information on auroral and solar activity. Space Weather Prediction Center – Shows the intensity and location for auroral activity for the time shown and this is based on current solar wind conditions. Service Aurora – is for the European region and gives an hourly forecast based on real-time solar wind data and data obtained from a network of magnetometers located worldwide. SpaceWeather.com – lets you check the current auroral oval for Europe, USA, New Zealand and Antarctica. Checking on weather forecasts can be a tedious job and you may forget to do so at times and miss those rare opportunities when auroral shows are happening. If you are wondering, how else you can keep track of the Kp index or the solar activity, there are apps that help you keep track of the auroral activity for your location and they can predict it about 30 minutes ahead. The advantage of using an app is that you get notified when there is a good chance of watching the aurora in your location, so you do not have to keep checking it at all times or worry about forgetting to check. You can also get a predicted idea of auroral activity three days ahead, but it is just a prediction and not definite. My Aurora Forecast & Alerts for iOS and Android: Gives you the current Kp index with a list of best locations to view the aurora along with push notifications when auroral activity is high. It comes with maps that show how strong the aurora is around the world including forecasts for the coming days and weeks. Best of all, there are no in-app purchases which means all services are free. Aurora Now – Northern Lights for iOS: This app provides real-time predictions for auroral activity including the next 30 minutes. The local aurora alert service notifies you when there is a chance for high auroral activity in your location and services like solar wind data and Kp index need to be purchased within the app. There is also a 3 day Kp forecast to give you an idea of what to expect in terms of auroral activity. Aurora Alerts – Northern Lights Forecast for iOS and Android: This app notifies the user of possible auroral activities in their location and when the Kp index reaches a certain value. It also gives a rough prediction of aurora forecast for the next few days and weather forecasts for visibility conditions. All alerts and data use local time. Northern Lights Alerts for iOS: This app alerts you of auroral activities around your area. The user can also share their viewing experiences with others while benefiting from other peoples’ viewing experiences nearby too. Aurora Forecast for iOS: This app lets you plan your aurora watching experience as it alerts you of the auroral forecast, auroral predictions, lets you track real-time solar activity and auroral nowcast. Aurora Notifier for Android: The app makes use of the Google Cloud Messaging service to inform you of times when it is possible to see the aurora. AuroraCast for iOS and Android: This app features live Kp and magnetic field info and gives an idea of aurora forecast for 3 to 27 days. 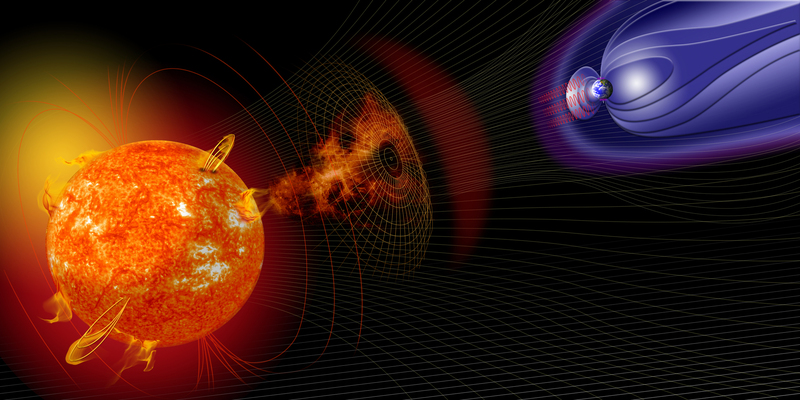 There are alerts from the space weather prediction center about solar flares, geomagnetic activity, etc. Moreover, it comes with an integrated light pollution and cloud cover map and a lot more, that helps the user to find the best places to view the aurora. Aurorasaurus for iOS and Android: This app gives a real-time Google map with weather and aurora predictions for where the aurora will be visible. It also alerts you when the aurora is visible in your location. Aurora photography requires good weather conditions. Once you know that there is geomagnetic activity, you will want to check your local weather forecast, because, even if you are out on a day with high solar activity and if the sky is overcast, you won’t be able to see anything. This means, just like photographing the stars in the night sky, you will need clear skies in order to observe and photograph the aurora. So the advice is to not go out on a day when it says there is constant cloud cover. Days, where there are breaks in between cloud covers, should be ok as long as the solar activity is high, so you can get a few shots when the clouds clear up partially or completely. Having some clouds can help create dramatic images as well. Note: Although aurora formation depends on geomagnetic activity, best times to view the aurora can be from 10 pm till 2 am, but on days when the solar activity is really high (geomagnetic storm), the aurora may be visible all night through. Auroras are more common during the equinox (Vernal equinox in March and Autumnal equinox in September) and this could be the reason why most aurora workshops are conducted in March and September. First off, you need good viewing conditions, which means, clear skies and complete darkness. Remember that even if the solar activity is high, if the sky is overcast, you will not be able to see anything. You will need to be in a location far away from light pollution, just like you would be for the night sky, star or Milky Way photography. Use the Dark Site Finder website, the Light Pollution Map or Dark Sky website to find a dark location near you. Only if you are in a location far towards the North or the South, you will be able to see the aurora overhead. If you are at locations in the lower latitudes, you will need to be in a wide open area or on top of a mountain to get a good view of the aurora that will be visible closer to the northern horizon. Sometimes the aurora can be faint because you are at a very low latitude or because the geomagnetic activity is not strong enough for your location. Being in complete darkness will help you see even the faintest aurora. In order to view the aurora in all its glory or to see even the faintest aurora, you will need to avoid all lights in the dark including your mobiles, torchlights, etc. because it takes between 30 to 60 minutes for the eyes to completely adapt to the dark and any use of light in between will ruin your night vision. Use a red light if you want to find your path or you need light for any other purpose in the dark. For example, if you want to check on the phone for any aurora information, use it at the lowest brightness possible, preferably night mode, because the slightest brightness can ruin your night vision (set this beforehand). Since the aurora is visible in the regions closer to the poles, that is places that are in the latitudes closer to the poles, it will be very cold during the nights. Summers are not the best times to view the aurora as the nights are very short and there are countries where midnight can have bright skies during the summer. So the best times would be the winter and near winter seasons when the nights could get icy cold. Make sure that you wear very warm clothing to keep yourself warm from head to toe including your face and fingers. You may also want to protect your camera by wrapping it up if required or use one that is weather sealed to withstand very cold conditions. Have warm drinks and snacks to take you through the night as sometimes you may have to wait for a long time to catch the aurora and then you will be shooting long hours most of the times. When it comes to Aurora photography, you can even photograph them with a smartphone these days due to new mobile phone low light capability and the apps available for longer exposures, but these will not do the spectacular event any justice. So it is better to have some decent gear to shoot the aurora. Find out the basic gear requirements below. You will need a camera that can shoot manual mode. Aurora is usually visible in latitudes closer to the poles and most of the time you are hanging out in icy cold conditions as summer nights are too short and bright to view the aurora. Since you will be out in the freezing cold, it is better to have a weather sealed camera that can withstand cold weather and moisture in the air if possible. Also, since you will be photographing at night under very low light conditions, it is good to have a camera that responds well in low light and produces good images at moderate iso, like up to iso 3200 – that is cameras with low noise at high iso. It is best to have a wide angle lens, (preferably 14-24mm for a full frame equivalent and weather sealed if possible) as it lets you photograph the entire scene with foreground interests. It is also good to have larger aperture values like f/2.8 or f/1.8. Wide angle prime lenses can be a good choice, but you will not have much flexibility with framing using different focal lengths. You will definitely need a tripod as you will be making long exposures and sometimes time-lapse photography too. You need a sturdy tripod that can withstand windy conditions. It is good to invest in a sturdy carbon fiber tripod that is easy to carry around and if you have a metal tripod, avoid touching it barehanded when out in the fields to avoid frostbites. Have a few fully charged spare batteries as the batteries drain quite fast in cold and freezing temperatures – a downside of Aurora photography. Try to keep them warm if possible so you can save up on battery life. If you will be making time-lapse movies, you may be staying out longer for a few hours and in that case, you may need quite a few good memory cards. Make sure you backup and format them well in advance. Use a cable release to release the shutter so you can avoid any camera shake. You could also use a remote release if you have one or there are apps for smartphones, that let you release your shutter remotely, without touching your camera. But you may want to have minimal light there and not distract your or other viewers’ night vision. If you are planning on capturing time-lapse photography an intervalometer will be helpful if you do not have one inbuilt in your camera already. You may need this to look for anything in the dark and it is better to have one with a red light so that you do not ruin your and your fellow photographers’ night vision. With Aurora photography, you need to gather as much light possible as the lights can sometimes be faint, but at the same time, not expose for a long time so that the aurora looks smudged or smeared. You need crisp details of the wave patterns created by the aurora. You also need to take into account the brightness of the moon, the brightness or intensity, and speed of the Aurora and the surrounding areas, for example, whether there is snow, ice, etc. that can reflect off light. So here are the settings that you need to work with for capturing the beautiful aurora and it will depend upon the factors mentioned above. 1. Mode: Always shoot manual so you have more control over all the settings in the camera. 2. Stabilize: You will need a tripod to stabilize your camera during night photography. You do not want any blur due to camera shake – so use a sturdy tripod that can withstand harsh wind conditions. Cold nights can be accompanied by really strong winds a lot of the time. 4. Manual Focus: You need to manually set the focus because, in dark and low light situations, the camera can get confused as to where to set the focus point if you are using autofocus. So you will need to manually focus on the aurora region to get sharp focus, but that can be a very difficult task. TIP… To manually focus for the night sky: What you do is, set the focus to infinity by focusing on a distant light or a bright star/planet in the sky. Zoom in on live view and turn the focus ring till you get a sharp focussed bright point on the screen. Take a test shot of 10 to 20 seconds exposure to see if the stars are in focus. Zoom in to check for sharp focus and if the stars are out of focus, check your focus again (repeat the above process if any adjustments are required) to get your camera ready for the shot. 5. Aperture: With the Aurora, since you want to gather as many details possible in a shorter period of time, set your aperture to the widest possible like f/2.8 and if you have a wide angle lens with aperture f/1.8, go for it. It is ok though to go narrower up till f/4 and still get good images of the aurora when the aurora activity is high. If you are a beginner with a kit lens, do not worry. Some kit lenses have an aperture of f/2.8 at widest focal length, while others may have aperture f/3.5 at widest focal length. Having a kit lens should not stop you from getting started with aurora photography – so use the one you have in hand. 6. ISO: This really depends on the intensity of the aurora and the sensitivity of your camera sensor. There is no fixed value that you should choose. You can try at iso 1600, but it may be too much when the aurora is bright. So always start with lower values like 400 or 640 depending on the intensity of the aurora and go higher if required. This will also help to reduce noise due to high iso. Note: For high intensity aurora start with iso 400 to 800 and for low intensity, aurora start with iso 800 and go up to 3200 if the aurora is faint. When doing so, keep checking the quality of your image for any evident noise. Also, depending on the situation and time available, you can switch on high iso noise reduction, low light noise reduction or long exposure noise reduction (whichever is applicable to your camera model), and please be aware these processes can consume a lot of processing time once an image is taken and cause delays between exposures. For time-lapse photography, definitely switch these settings off. It is best to have iso within 1600 on a crop sensor camera and within 3200 on a full frame camera for best results. Remember, all cameras are different – so experiment in advance and choose the iso values that are best for night sky photography. If you have to go for high iso values to get the shot, then definitely go for it. 7. Shutter Speed: Depending on your aperture, iso values and intensity + speed of the aurora, you can adjust your shutter speed from 5 to 30 seconds. You need to have a balance between good exposure and capturing the details in the aurora as sometimes the auroral lights can move faster and sometimes slower. If you need intricate details of the curtains, you will need to have the right shutter speed (exposure). Sometimes a one second or five seconds exposure gives the best images. Also, take into account the star trails – you do not want stars to form trails. So, use the 500 rule to calculate the shutter speed for the focal length you will be using and compensate for the increase in exposure by increasing iso. Note: For example, if your camera’s sensor responds well to low light and high iso, you can shoot at iso 2500, 5 seconds exposure at f/1.8 when the aurora intensity is good. In times of really active auroral display and high intensity, you will need to have a shutter speed of 0.5 or 1 second exposure to 5 seconds exposure to freeze the movement and the only thing that can be changed will be the iso to get the right exposure. 8. Shoot RAW: Always shoot raw because it helps you to edit your images without any worries and lets you change the white balance to your taste. 9. White Balance: Set the white balance to daylight to avoid yellow or blue colour cast or you can set it to auto and shoot in raw. You can later change the white balance while post processing. Usually, somewhere between 3000 to 4000 should be good for night photography. 11. Avoid Camera Shake: Use a cable release to release the shutter so that you avoid all blur due to camera shake. If you do not have one, you can use the in-camera timer options. Also, make use of the mirror lockup facility if you are using a DSLR. Image stabilization is turned off on lens and camera when your camera is on a tripod. You can use a lens hood to keep frost off the lens. Have a battery pack with you for any emergencies. A headlamp with red light for use in the fields. Once you have everything set up like focus, aperture, shutter speed, iso, it is time to do one or more test shots to get the aurora in its best form in your image. You need to be quick with the test shots, as sometimes the aurora can go faint in a few minutes. Take an image with 10 seconds exposure to see how the aurora is recorded. If the aurora is recorded with good detail, use this setting to capture the rest of the images. If the aurora is smudgy and too bright, you will need to go for a shorter exposure of 5 seconds. If the aurora is faint, then you will need to go for longer exposures of 15 to 20 seconds depending on the intensity and speed of the aurora. Use your test shot as a reference shot to adjust your exposure time (use the camera settings above for reference). Keep an eye on the histogram, as it is easy to overexpose the shot as brighter auroras can cause a huge variation in the intensity of light or in other words, there can be a huge dynamic range within the frame. Make sure the highlights are not pushed too much to the right. Watch out especially for the green channel, since the auroras are mostly green – do not push it too far to the right (do not overexpose) as you see in the image below, as you can lose details of the colours and light in the image. You could even try star trails photography along with the beautiful colours from the aurora in the sky. If the Milky Way is up in the sky during the time, add it in the frame to create a stunning image of the night sky. Nights with peak meteor shower can help you get those streaks across the sky along with the aurora. The moon could make the auroral intensity quite faint, but on days of high solar activity, you can photograph the moon in the frame along with the aurora, but you may lose the subtle purple or red colours that may form during the aurora show. Don’t worry too much, if you cannot avoid the moon in the frame. You can use the light from the moon to record details of the landscapes in the frame and use the dramatic shadows cast by the moon, in your compositions. Watch out for leading lines in the landscapes when composing your images. You could include mountains in the frame to get a stunning aurora image. The light cast on the snow-capped mountains could help you record those details and make brilliant images. If you are photographing near a waterscape like a lake, sea, ice formations, puddles or streams, try to capture the reflections. You can also show movement in the image by adding streams, waves or small waterfalls in the frame while composing. But make sure they do not take away all the attention in the frame that the viewer forgets the aurora. Use these as complementary elements to support the composition. You could include trees, old barns, other small buildings, and man-made structures in the frame to get compelling compositions. This will also give a sense of size comparison of the vast landscape that you are photographing. If you are in a location where the aurora is overhead, do not forget to make images from below looking up with other elements included in the frame as these can create an intriguing feel for the viewer. Imagine that you are photographing a landscape, and compose the shot with strong elements just like how you would compose a landscape shot. Add human/s in the frame to show scale and depth. If you want to include yourself in your aurora photography, shine a flashlight on your face for a second or two and then switch it off. Or use a flash towards the end of the exposure. If not, make sure you stay standstill throughout the exposure. Add other subjects in the element like a car or van with its dim lights on, or a camping tent, etc to add meaning to the image and create a story. Try different focal lengths to get different perspectives and frames. If you have quite a long display of the Aurora, try time-lapse photography. Do not forget to try portrait modes for auroral landscapes depending on the display of the aurora. All images need a bit of post-processing to bring out the details from the raw files. So edit your aurora images, just like how you would edit your night sky images. Adjust the white balance to your taste because most of the aurora images may have more green color cast. Straighten and crop the image if necessary. As you would make adjustments to any images, use the basic adjustments panel to adjust exposure, contrast, blacks, whites, shadows, clarity, and vibrance. It all depends on your personal preference. If there is haziness, use the dehaze slider in limits to pump up the contrast a bit. How To Photograph Aurora With iPhone or Any Smartphone? Now almost everyone wants to capture the moment with their smartphones – not that they do not have a good camera, but the expectations out of smartphone cameras are way too high these days and people want to instantly make images on their phones, edit them on the phone itself and share it out with the world. So if you are wondering if you can photograph the aurora with an iPhone or any smartphone, the answer is yes, but do not expect them to be perfect as you will not have more control over the settings and the quality will definitely be far less compared to what is taken with a good camera. You will have noticeable noise and decreased sharpness in the image. There are apps for smartphones like Northern Lights Photo Taker, Nightcap Camera, Slow Shutter Cam, Cortex Camera, LongExpo Pro and more. These apps let you have manual control over the camera settings. So use a tripod or a Gorillapod to stabilize your mobile. When it comes to aurora photography with your phone, location, requirements, camera settings, etc. is the same as those requirements that apply to shooting with a camera. So, try the settings you would use on the camera and do a test shot. Make exposure adjustments from what you get. You will need to stabilize your mobile by mounting it on a tripod or Gorillapod. Use the manual mode on the app that you will be using. Choose the widest aperture, iso around 800 and try a 10 to 15 seconds exposure. Look at what you get in the test shot and make adjustments from there. If the image is too bright decrease the exposure time and if the image is too dark, increase the exposure time. Also, use a remote trigger or the timer option to delay the shutter so that any blur is avoided while taking the picture. Doing some basic post-processing will help bring out the details in the image. Do not overexpose the shot – it is easy to do this when you do not adjust your exposure time depending on how the aurora displays. Avoid areas with light pollution and hazy skies – dark areas with clear skies are a must because the effect of the aurora and the faint red and purple colours can be lost when there is light pollution and clouds can hinder your view of the aurora. Avoid nights when the moon is up in the sky – moonlight can dim the intensity of the aurora and render the faint red and purple colours invisible. As much as possible try and avoid the moon, if not possible, use the moonlight to illuminate the landscapes. Do not miss fainter auroras – There are nights when the solar activity is low leading to weaker aurora – do not miss it. The aurora may look like a cloud in these situations with a slight greenish tint. If you are unsure, take a photo with your camera and you will know whether there is a faint auroral display. Do not practise focussing when the aurora is up in the sky – keep your camera ready with the focus settings ready because you do not want to be fiddling around with the focus and losing your chance of viewing and photographing the aurora when it is in full display. Not many of us get a chance to view and get started in aurora photography – and for most of us that get to see it, it could be a once in a lifetime experience. Do not let the experience slip by. Make some time to view the spectacular event with your own eyes. Do not forget to spend time outside on a clear night and do not worry much about the settings all the time. If you have just enough time to get a quick shot, just do it. If you make a start or are already an aficionado of aurora photography, please do not forget to share it with the community at Light Stalking. We would love to see your images.